At My Smile Clinic, we only use the best products and equipments to help you achieve the best possible results. 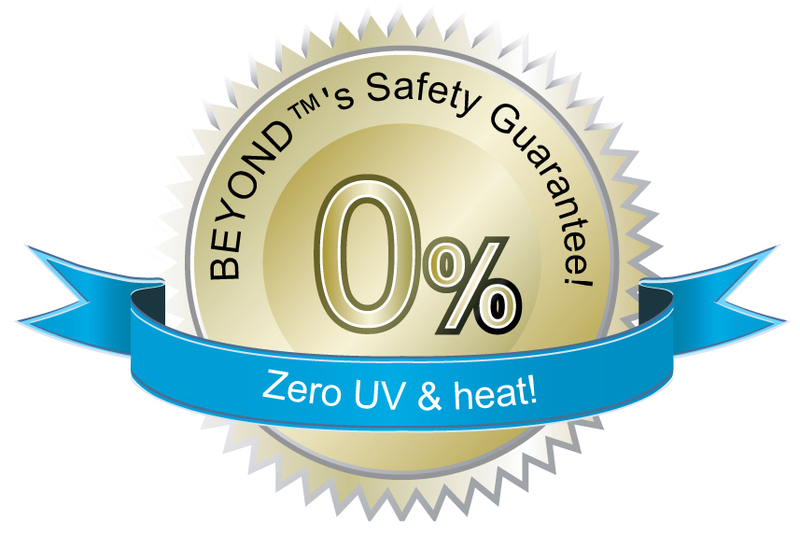 Our new Beyond® Polus Advanced Ultrasonic Whitening Accelerator System is the latest technology and scientifically proven to whiten better than EVERY other whitening system in the World. Back by more than 20-years of system development and with tens of thousands satisfied clients in more than 120 countries world-wide the Beyond POLUS® ADVANCED ultrasonic system is the preferred cosmetic whitening system used by My Smile Clinic. Simply there is NOTHING BETTER. POLUS® is already the World’s BEST Professional Teeth Whitening System as Independently Voted by Dental Advisor to be the World’s Best 7-years in a row. Now as well as the 7th time award winning ‘light bridge” technology, POLUS® ADVANCED features revolutionary new ULTRASOUND whitening technology. That means faster, whiter teeth than ever before! Ultrasound technology has been proven by Dentists and Hygienists for scaling and polishing teeth. Now this well established ultrasound technology has been adapted to speed up teeth whitening. This means your teeth can now be whitened in just 12 to 36-minutes using our POLUS® Advanced Whitening Accelerator together with our Ultrasonically compatible OSMOS® whitening gel. Built in ionisation air filtration not only provides a cleaner healthier clinic environment for both Practitioner and Client, it also produces Ions that assist oxidisation of the Whitening Gel. This improves the whitening gel Redox Efficacy*. A common misconcerption is that light accerlerated whitening uses a laser to accelerate the whitening process. A laser is a device that emits light (electromagnetic radiation) through a process of optical amplification based on the stimulated emission of photons. In fact, lasers are an old technology that was used before current technologies were developed. The reality is that using some LED systems is not different to shining a LED torch in your mouth and expecting your teeth to whiten. Many teeth whitening system use weaker LED lights because the technology involved in many facturing these systems is simpler and cheaper than with professional dental systems. If you want best results always go for professional dental system. There are also several systems in the cosmetic teeth whitening market that use UV light as the source of their light acceleration technology. However, given the obvious risks the skin associated with excess exposure to UV light, the use of these systems is not recommended. 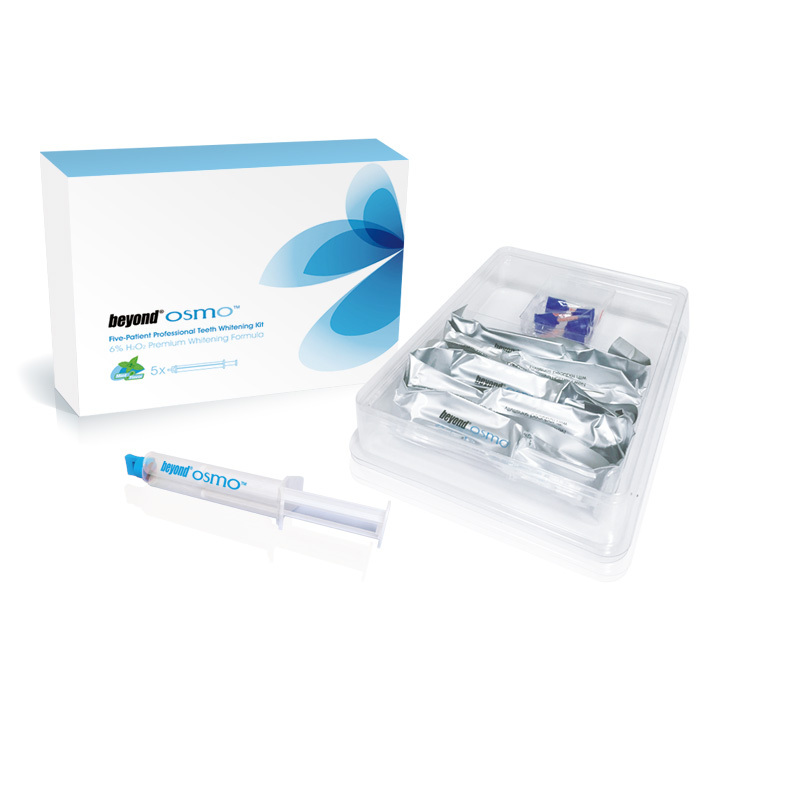 Again, the only BEYOND system delivers the most intense, tailored beam of blue light of any cosmetic teeth whitening system on the market without the risk of UV exposure and the hypersensitivity associated with other whitening system. The enamel of your teeth contains millions of microscopic pores and over the years, unprocessed compounds from food, drink and tobacco go into these pores causing discolouration & staining. Teeth Whitening happens when the hydrogen peroxide breaks down into oxygen molecules, which enter through the enamel to the dentin, which is the actual ‘tooth bone’, directly under the enamel. It is the Dentin that provides the tooth its ivory-white colour. These oxidising molecules enter the minuscule pores of the enamel and bleach the coloured substances so that the natural white colour of the Dentin can be seen clearly. Teeth Whitening happens when our patented Catalyst empowered whitening gel is photo-excited by our advanced blue light system creating a powerful redox action. What this means for you is WHITER TEETH with little risk of any sensitivity when having the treatment; SAFER TOO because there is no burning gums, no swollen lips or allergic reaction to high strength peroxides, and the results are amazing ranging from 2-10 shades in our 45 minutes in-chair treatment. experienced dentists it requires extensive lip and gum protection and some older lights require sunburn protection from UV rays the project. This system is Dentist Created and Dentist recommended and is used almost exclusively by the $14B Global Cosmetic Appearance Enhancement Industry. Because this system is chemically so much safer and produces no UV rays, gum barriers are no longer required. 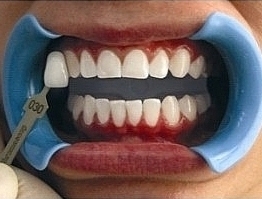 This saves you valuable chair-time and is undoubtably the safest method of whitening teeth today. 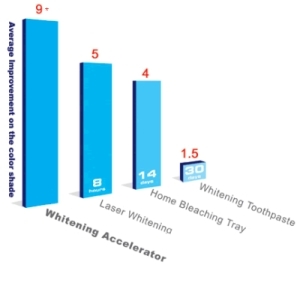 Don't be fooled into thinking that higher strength bleaches whiten your teeth more.. they don't, heres why..
1 Watts A, Addy M. Tooth discolorations and staining: a review of the literature. British Dental Journal 2001;190:309-16. 2 Joiner A. Tooth color: a review of the literature, Journal of Dentistry 2004;32(Suppl. 1):3-12. 3 In: Howe-Grant M, editor. Encyclopedia of chemical technology, 4th ed., vol. 4, New York: John Wiley and Sons;1992. p. 290-1. 4 Joiner A. The bleaching of teeth: A review of the literature. Journal of Dentistry 2006;991:2. 5 Smigel I. Laser tooth whitening. Dentistry Today 1996:32-6. 6 In: Howe-Grant M, editor. Encyclopedia of chemical technology, 4th ed., vol. 13. New York: John Wiley and Sons;1992. p. 13-5. 7 Patel A, Louca C, Millar BJ. An in vitro comparison of tooth whitening techniques on natural tooth color. British Dental Journal 2008:204(9):E15;discussions 516-7. 8 BEYOND™ WhiteSpa® Select. 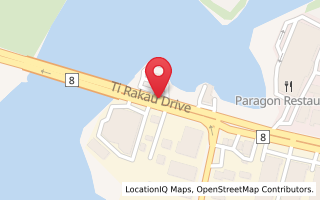 BEYOND™ Dental & Health Inc.